Now for the next “blog-a-view” and giveaway. This time it’s me being interviewed over at Stitchin’ Heaven by Nichole from the same SH fame. As I write this Nichole is working on getting the “blogaview” up, so there may be a gap in the time when you can read the interview and this entry. While Nichole and I were discussing how this would work, I suggested that we do a giveaway as that always seems to draw out you lurkers out there! 🙂 So we are doing just that! I will be giving away the prize pack below to one lucky commentor here, and Stitchin’ Heaven will be giving away a prize to a commenter over on their site! So two ways to win! Here is the prize: …..my apologies for the yellowness of the photo….this prize includes a large Mary Engelbreit panel from Moda, a fat quarter, and scrapbag from me as well as a simple ticking bookmark and a little note book with some of my quilting practice cloth cut up and glued on top….It’s kind of a kicky little mix of items, but kind of fun I hope. 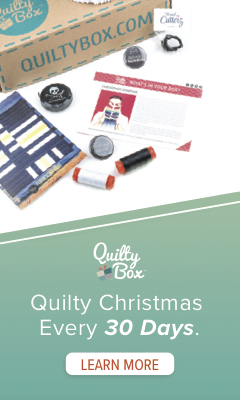 So now to get your prize you have to leave a comment here telling me what your favorite quilt block is and what you are currently listening to when you create! Lookin’ forward to hearing what you have to say. Remember to go to Stitchin’ Heaven and sign up for their prize as well! Last day to leave a comment and get in the drawing is March 31st. Winners announced on April 1st….no foolin’!! My favorite quilt blocks are always applique. They can be houses, florals or just about anything in needleturn applique and I will love it. I tend to listen to truTV when I am working in my sewing room. Sometimes it is a real bore which is OK because then I concentrate on what I am doing, and other times it is mesmerizing. I’m a big fan of all the star blocks. I’ll listen to just about anything whilst sewing. Christian, country, classic, it doesn’t matter. This is getting to be too much fun now! I am one of those lurkers you referred to, but it’s not always the threat…err, promise of a prize that draws me out! I just like your artistic side! My favourite quilt block is the Brown Bear panel based on the Eric Carle book. 🙂 I got it from Wish Upon a Quilt, because it’s not available here in New Zealand. I listen to an eclectic mix of music when sewing, some Ting Tings, Will-I-Am (it’s a new day), Lilly Allen, and a few others. Nice prize! I am currently in love with scrap quilting. Sometimes it’s applique,LOL! I got an un-opened 3 dvd set of Bob Marley at a yard-sale so that is what I am listening to this week. My favorite quilt block is Grandmother’s Fan. I love just the old fashioned look of it. I really like the applique ladies with the big dresses and umbrellas too. Have know idea what it is called though!! I am usually listening to Fox News while creating, unless my hubby is in the room with me and then of course it is ESPN!! I love the old-timey quilt patterns. Grandmother’s flower garden may be my favorite, because it renders warm thoughts of my long passed grandmother when I look at it. Sometimes when I create I listen to the silence…other times I tune into talk radio. Well . . . my favorit quilt block is the Friendship Star. I love it because of the simplicity but also because I love scrappy leftovers and they really look good in this block. I am a great fan of the local talk radio that has been around from the beginning of radio in Iceland but . . . the love of my ears while quilting, the truth be told, are audiobooks and . . . now I´m listening to A Dave Robicheaux audio collection written by James Lee Burke read by my all time favorit of readers Will Patton whom you may remember from Armageddon and other fabulous movies . . . Five fabulous crime stories . . . just lovely. Like almost all quilters I love reading, gardening and chocolate . . . and I love the way the art of quilting is linking peoples lives around the globe . . .
My favorite block is drunkards path because there’s so many different layouts I can make and because I favor the 2-color quilts and the block uses 2 colors (simple, huh?). I usually listen to silence when I quilt – I like to focus, and the quiet gives me that. I enjoyed reading the interview at Stitchin’ Heaven. My son is my muse. He is 14. I designed a ski mask for him that looks like a masquadore mask. Currently I am making him a surf-inspired charm quilt. My favorite block is churn dash because it has so many names. I like funky log cabin blocks the best — the kind where you just sew them on at any angle, hack off the ends as you go, and then block them straight at the end. My other favorite is a good old nine-patch — wonky of course! I listen to indy girl rock when sewing — Throwing Muses, P.J. Harvey, Tori Amos, and The Muffs. I also loudly on occasion, which I think imbues my creations with a kind of goofy, distracted energy. It also contributes to the wonkiness of my blocks, as I sometimes get interested in Pandora.com and forget what I’m doing halfway through. I have so many favorite blocks.. I guess it depends on what quilt I’m making.. I have fun with Mary Lou Weidman’s Hoochy Mama blocks. I’m falling in love with any quilt with applique, even if it’s just a few..
My favorite block is the cathedral window, I have had a lot of time to do hand piecing lately and this is a great portable block. I’m really not into music so I listen to what is on TV, during the day HGTV and at night whatever my husband is watching. Om the weekends its mostly sports. Love to see men who quilt! I wish more would! My favorite quilt block just might be Attic Windows. There is so much you can do with this block. The possibilities are endless! As for music, just about anything! But no rap or screamo! Love everything in your giveaway and admire your creativity! I have no favorite block, but love to work with the Boondoggle ruler. I have made almost 100 bags in either the medium or larger size. The ruler is from Bella Nonna Design Studio. Listening to whatever is on PBS – my husband has the radio and when I am at the computer I am a hostage listener. I like star blocks and recently circles. I listen to whatever music is on VH1 or whatever my teen daughter is listening to. I have to think about a favorite block…..(thinking)….I really like the Ohio Star. I am listening to Nicholas Gunn’s Return to the Grand Canyon…it is my all time favorite. It has very lovely flute and acoustic guitars, check it out! Thanks for the give away, and I loved your photos of your walk. p.s. I said once your blog was interesting, you answered that you hoped it was a good interesting…it is a good interesting, it makes me smile. You intrique me…you know when people ask, “who would you like to have lunch with?’ You would be one of those people for me. That is such a nice compliment Sheri! Maybe we can someday. Comin’ up to Washington State anytime soon? Look me up! BTW, I love your tutorial on cutting bias binding! I have been having a great time making blocks on Friday Block Party on blogspot…we make a different block every week!! I personally love log cabin blocks and all variations. I have been listening to Godsmack while stitching…keeps me moving…but when I am free motion quilting, I listen to classical and move the fabric around like a musical instrument, similar to bowing on a violin…it REALLY helps. Great giveaway and I just found your blog. My favorite block is the Sawtooth Star and I generally listen to TV while quilting. I rarely watch it! I only get the major networks and PBS so my choices are limited. I’m currently hooked on all things applique. My next quilt will be a king size with wonky log cabins in black, green, and orange for my oldest. 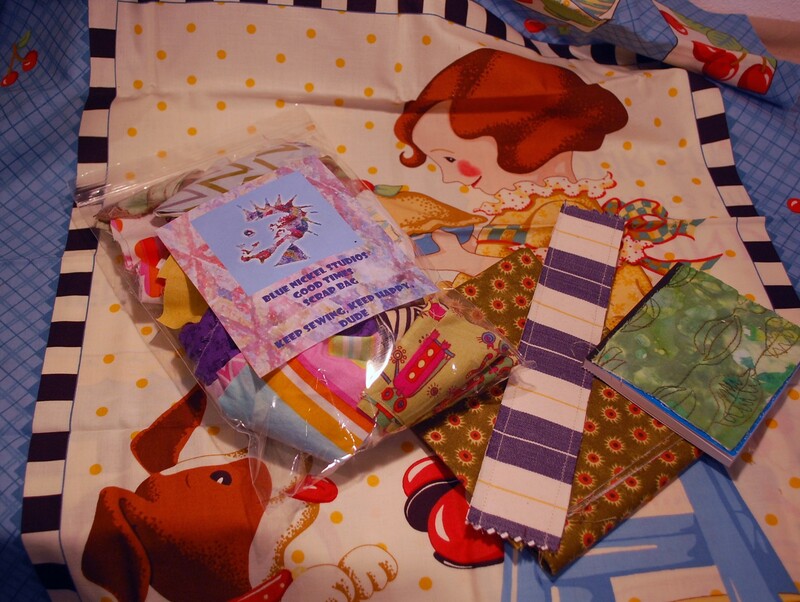 Hi, I am a scrapquilter at heart. But I love all styles of quilts. My favorite blocks use diamonds, such as a tumbling block quilt or a hexagon star quilt. I just love diamonds. I usually listen to my brothers music when I quilt. He is a Christain artist and his name is Joel Auge. You should check him out. Thanks for having a giveaway. I love your blog. I will add it to my blog list. It’s really not fair of you to make me choose a favorite block! It’s like asking a bee what’s his favorite flower! I am currently having fun with variations of the friendship star. What I listen too stitching…. Mmmm…. well, I get bored of music, so usually I have my iPod on with an interesting podcast (Annie Smith for example) or an audio book! Right now I am working on a simple nine patch for my first “big” quilt. I hope to do a sampler next with blocks from Jennifer Chiaverini’s Elm Creek Quilt books. I like to listen to Mozart when I quilt. Your interview w/ Stitchin’ Heaven was very informative! Will you be coming East anytime soon? I live in New England. Mark Lipinski recently came to my local quilt shop, Emma’s Quilt Cupboard, http://www.emmasquiltcupboard.com so they are open to visiting quilters! Good luck to you! What a kewl give away! I love the article on you at Stitchin’ Heaven. The entire March Madness on Male quilters has been a blast to read each week. I love anything applique and my absolute favorite pieced block is the churndash block, easy construction and with a little turning, a little tilting, a little sashing it changes into something spectacular. I’ve gotten really into improv blocks of late, especially log cabin ones. And I’ve been listening to Girlyman while quilting. Thanks for the giveaway! My favorite block is a string block (diagonal strings) made with random widths of fabric strings. It is fun, easy and there are several possible layouts that you can use it in. Sometimes, I put my iPod on shuffle and listen to whatever comes up. That can be most anything as I have almost 2800 songs in a wide variety of genres on it. But tonite as I was quilting the last bit on my QAYG project the only sound was the hum of the sewing machine. I think it was singing a victory song, I know I was! My favorite quilt block is a hexagon. I love them in Stack n Whack, in Grandmother’s Flower Garden, and especially in One Block Wonder quilts. I like to listen to audio books or to Brooks and Dunn when sewing or quilting on my Gammill.